A Flash Card Test for children consisting of twelve, two sided cards with House, Apple and Umbrella optotypes. 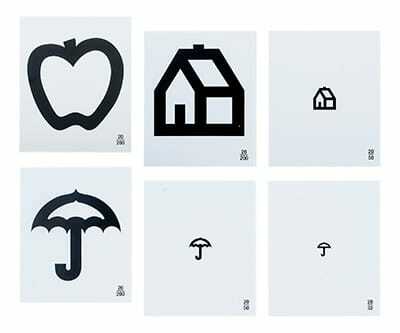 A Flash Card Test for children consisting of twelve, two sided cards with House, Apple and Umbrella optotypes. 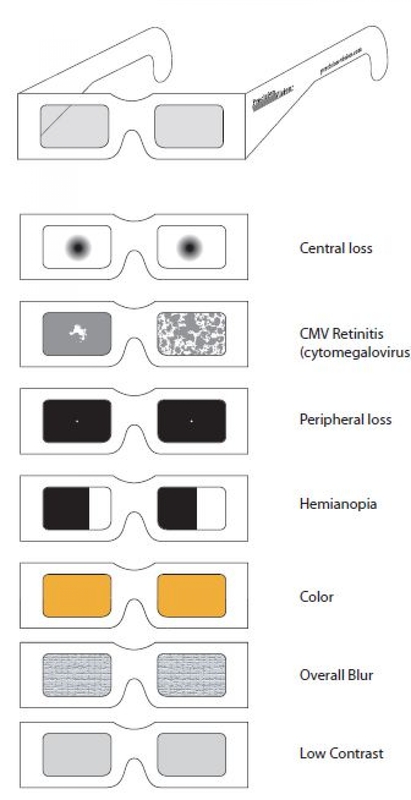 The set presents each optotype at eight different Snellen acuity levels of 10, 16, 20, 32, 40, 50,100,200 when used a tthe intended 6 meters (20 feet) distance. The included instructions for use also provide acuity values at other test distances. This test was designed for pre-school screening, patients who do not know letters or numbers at any age and special needs patients.